BIG Little Apps - for iPad, iPhone, Apple Watch, Chat Bots and more! Never miss out on great nearby events and activities with the NearMinder chat bot from BIG Little Apps! Get the free NearMinder chat bot! Use the NearMinderBot to get the latest event info directly in your favorite messaging apps! Search for a specific type of event that you are interested in, such as Music, Art, Dance, Biking, Yoga, Swimming or any other activities or interests, or even a specific named event or performer. The NearMinderBot can find events from all of the best sources such as TicketMaster, SeatGeek, EventBrite and MeetUps. For any events where you need to signup or get ticket info, full details are also available using the link at the end of the event description. Now available as "Cool Events" on the leading voice-activated speakers, too! The Cool Events chat bot uses voice interaction to help you find events and activities of interest nearby. Chat directly with the "Cool Events" voice bot on the Amazon Echo. 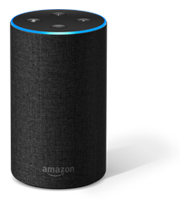 To talk with the free Cool Events chat bot using your Amazon Echo voice-activated speaker, just say "Alexa, open Cool Events," to get started! 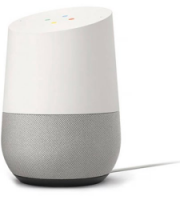 Chat directly with the "Cool Events" chat bot in Google Home, the voice-activated speaker powered by the Google Assistant. The Cool Events chat bot uses voice interaction to help you find events and activities of interest nearby. Cool Events was named by CNet as one of "16 of the best Google Home services you should already be using." To talk with the free Cool Events chat bot using your Google Home voice-activated speaker, just say "Hey Google, talk to Cool Events," to get started! Also talk to "Cool Events" chat bot in the Google Assistant app on iOS! Download The Google Assistant app for iOS and just say "Talk to Cool Events" to connect now! Website Popup NearMinder Chat Bot, too! Chat directly with the NearMinderBot chat bot using this website popup chat window. The NearMinderBot uses quick-reply buttons to make it simple to click on most options. Click on "NearMinderBot - Click here to chat now!" in the chat panel at left. Have a question or comment for us? Just click the "Contact us!" button at the bottom-right of this window. The BIG Little Apps contact bot will relay your comments to us and we'll get back to you right away! BIG Little Apps is dedicated to creating innovative apps for the leading mobile platforms including the iPad, iPhone, Apple Watch, Chat Bots and more. We see apps as more than just little limited-functionality programs. We believe that "big little apps" will play an increasingly central role in enabling a new generation of mobile tools to enhance communication, share information and provide entertainment on the go. Looking for innovative chatbot technologies, chat bot development or custom Artificial Intelligence (AI) and Natural Language Processing (NLP) solutions? Visit BIG Little Bots!